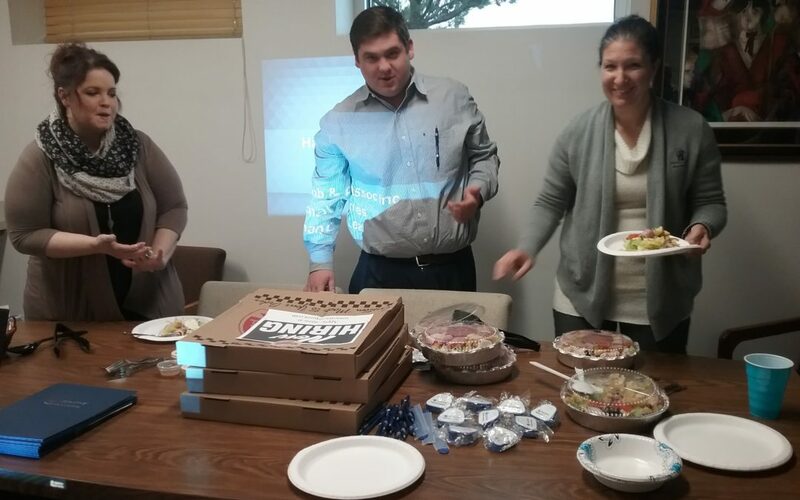 The Shrewsbury office enjoyed a Selective Lunch & Learn today courtesy of our Selective Marketing Specialist, Katie Kauffman. And what an awesome Select-ion! Anti pasto & chicken caesar salads, tater tots, pizzas, stromboli and even Girl Scout cookies for dessert. We also met our Selective underwriter, Donna Campbell who traveled 3 1/2 hours to meet us. We all enjoyed the delicious lunch, the Selective quiz, and your presentation. Thanks, Katie & Donna and also thanks for participating in our March Madness promo to raise money for SRPD K9 unit!